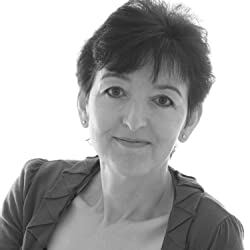 AJ Waines was a London Psychotherapist, dealing with 'real-life' murder mysteries from behind closed doors, before she began transforming the gripping material into her own Psychological Thrillers. She has now sold over 400,000 copies, with audiobooks and foreign translations, and has been a Number One Bestselling Author in the entire UK and Australian Kindle charts. AJ has been featured in The Wall Street Journal and The Times and has been ranked a Top 10 UK author on Amazon KDP (Kindle Direct Publishing). Fascinated by secrets, lies and anything hidden under floorboards, she writes sinister mysteries and dark suspense thrillers with mind-bending twists at the end! She lives in Hampshire, UK, with her husband. Please enter your email address and click the Follow button to follow A J Waines!